As college taught you, sometimes beer and tequila don't go together so well. But a beer that's tequila-flavored... well, that's a different story, and that very brew is making its way to American shores right now. 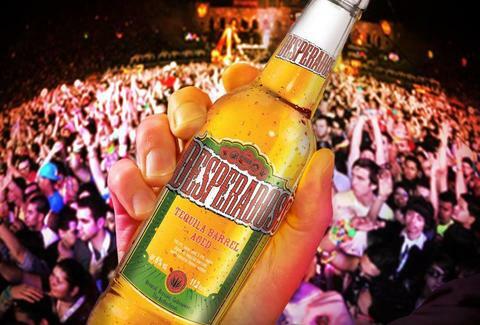 Desperados has been a Heineken product in Europe for nearly 15 years, but it's just now coming to the US. In fact, it's already made its way to Florida and Georgia, with plans to go national next year. The beer doesn't get its tequila kick from worms -- if yours has those, throw it out -- but rather by being aged in tequila barrels for months, after which it's mixed with more tequila-flavored beer. Technically it does have trace amounts of tequila, though we're only talking 6% ABV, so it's still classified as a malt beverage. It remains to be seen how Desperados goes over with the American public, but here's hoping it has an easier time than Tequiza. RIP, little amigo. Kristin Hunt is a food/drink staff writer for Thrillist, and believes in the separation of beer and liquor. Follow her at @kristin_hunt.